Learn Japanese Language through reading and listening about Japan. 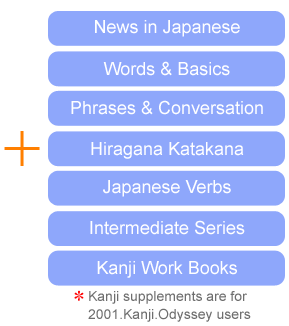 Here, we provided reading materials on various topics for learning Intermediate Japanese. All readings are written in easy-to-understand Japanese. You will learn not only Japanese language, but also learn Japanese culture, custom and lifestyle. Futatsu no mono o tomeru no ni tsukaimasu.